They say that breaking up is hard to do, and it’s those challenges the Alphabet Network is hoping to milk for laughs. ABC has ordered the Splitting Up Together TV show to series. The comedy comes from writer Emily Kapnek, who is executive producing with Ellen DeGeneres. Kapnek, who created the cancelled ABC TV series Suburgatory and Selfie, based the Splitting Up Together TV series on a Danish program. 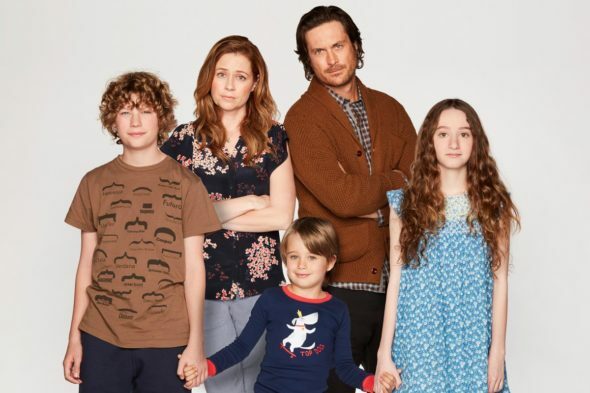 The cast includes Jenna Fischer, Oliver Hudson, Bobby Lee, Diane Farr, Lindsay Price, Olivia Keville, Van Crosby, and Sander Thomas. ABC put the Splitting Up Together pilot into development, back in September of 2016. According to Deadline, Fischer and Hudson play a couple “whose marriage is reignited by their divorce.” Check out the official teaser. What do you think? How do you like the sound of the Splitting Up Together TV series? Will you check out the first season when it premieres on ABC? Let us know, below. More about: ABC TV shows: canceled or renewed?, Splitting Up Together, Splitting Up Together: canceled or renewed? Always liked Jenna Fischer and after two episodes I’m a fan. I always liked both of the lead stars so yes, I sure will tune it. I hope it’s better than most of ABC’s offerings! The only thing that’s still great is THE MIDDLE. I will try it once.